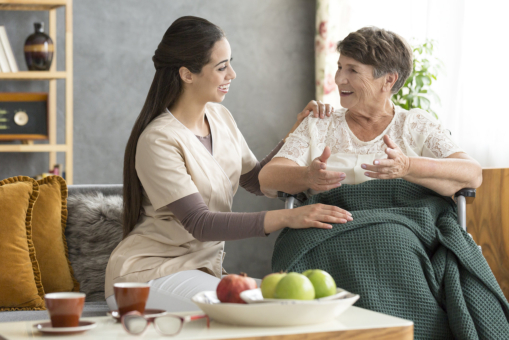 ← Home Health Care vs. Home Care: What’s the Difference? Alzheimer’s Disease is a kind of illness wherein the brain cells slowly degenerate and die. It is the most common cause of dementia, which is a symptom of cognitive, social, and behavioral decline. This disease affects the person’s ability to function independently, making professional non-medical care highly important. As much as possible, you would want your loved one to stay close to you. We make that possible for you by accompanying and assisting them at home. When you are away, rest assured that your loved one is watched over by a reliable caregiver. Our personal care services in Texas assist people with Alzheimer’s in accomplishing their activities of daily living. In their first stages, they may be able to finish these tasks without assistance. However, as the disease progresses, further assistance may be needed. Our caregivers are experienced and trained to handle their specific needs with care and accuracy. When your loved one is diagnosed with Alzheimer’s, it can be a challenge for you to adjust to the changes in their behavior due to their condition. However, you don’t have to go through these changes alone. Our caregivers can educate and assist you in taking care of your loved one. The heart of our services stems from our willingness to improve your loved ones’ quality of life and to give your family peace of mind. To know more about our services, feel free to contact us today. This entry was posted in Alzheimer’s Disease and tagged Elderly Care, Health Care, Home Care, Reliable Caregiver. Bookmark the permalink.